Robotic manipulation has drastically improved during the last decades. Thanks to the increase of powerful technology in both sensing and actuation, it has become possible to manipulate different kinds of objects in a fast way. Nevertheless, the sought human dexterous capabilities are still out of reach for robots. Juggling and pushing objects, folding clothes, carrying items on a tray, cooking in a pan, performing some surgery operations are examples of nonprehensile manipulation tasks. From a robotic point of view, most of the nonprehensile manipulation systems are underactuated, raising controllability challenges. However, dynamic nonprehensile manipulation benefits of several advantages such as the increase of available robot actions, bigger operative workspaces, and enhanced dexterity in dynamic tasks. The classic way to cope with a complex nonprehensile manipulation task is to split it into simpler subtasks, referred to as nonprehensile manipulation primitives, such as throwing, dynamic catching, batting, juggling, dribbling, pushing, sliding, rolling and so on. This talk will address most of the above mentioned nonprehensile manipulation primitives, describing the design of suitable motion planners and controllers. 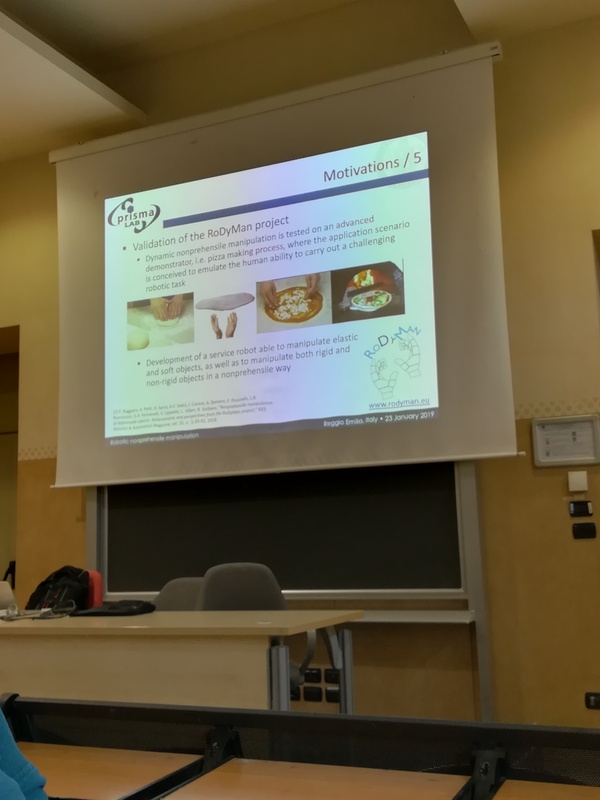 Case studies with both rigid and non-rigid objects will be presented, with some insights on modeling and perception of deformable objects as well. Pizza dough is often taken as exemplification since its manipulation involves an extraordinary level of manual dexterity, and it is indeed a great media attractor when handled by a robot. Fabio Ruggiero received the M.Sc. degree in automation engineering and the Ph.D. degree in electrical engineering and information technology from the University of Naples Federico II, Naples, Italy, in 2007 and 2010, respectively. He was a Visiting Ph.D. Student with Northwestern University from September 2009 to March 2010. 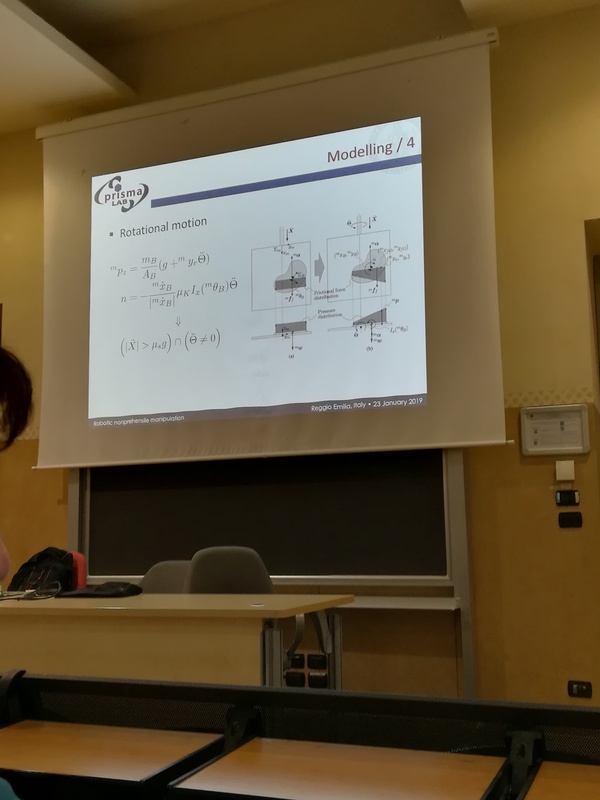 After several Postdoctoral positions from 2011 to 2016, he is currently an Assistant Professor at the Department of Electrical Engineering and Information Technology, University of Naples Federico II, Naples, Italy. He has coauthored about 50 among journal papers, book chapters, and conference papers. His research interests include dexterous and dual-hand robotic manipulation, even by using unmanned aerial vehicles with small robotic arms, dynamic nonprehensile manipulation, and three-dimensional object preshaping and reconstruction. 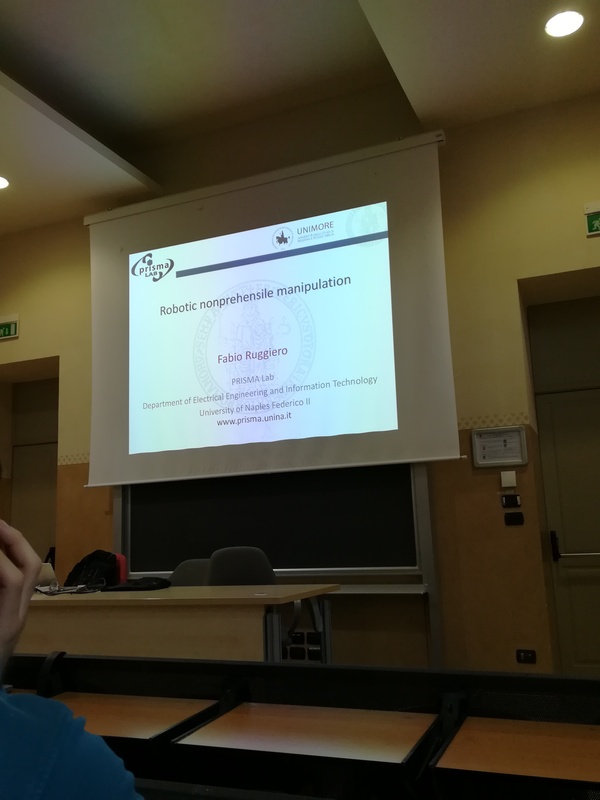 Since 2019, Fabio Ruggiero is the Principal Investigator of the WELDON project, Walking Robots: A Connection Between Legged Robots and Nonprehensile Manipulation, funded by UniNA and Compagnia di San Paolo. He is among the recipients of the FFABR 2017, a fund for the ordinary financing of Italian state universities. In 2018, he got the National Scientific Qualification in systems and control engineering. Fabio Ruggiero has received the 2015 I-RAS Young Author Best Paper from the IEEE I-RAS. He co-authored the paper honored with the Best Paper Award at the 13th International Conference on Informatics in Control, Automation and Robotics in 2016. He has been serving as Associate Editor for the IEEE Robotics and Automation Letters since 2018 and the IEEE International Conference on Robotics and Automation since 2014. He was also the organizer co-chair of the 10th International Workshop on Human Friendly Robotics, organized in Naples, Italy, in 2017.